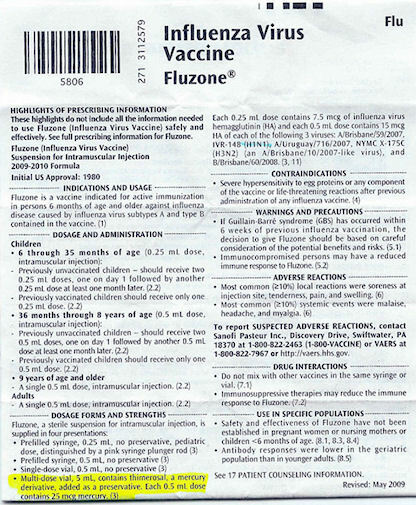 Here we have a leaflet from the Fluzone® vaccine. What do you think of these ingredients? Some dosage forms contain thimerosal. Thimerosal contains mercury, right? And mercury is a super poison, right?